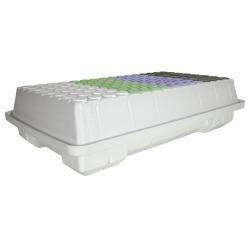 The EZ-Clone® Low Pro Lid and Reservoirs have been carefully thought out and designed with the utmost passion, producing the most effective and user friendly aeroponic cloning system. 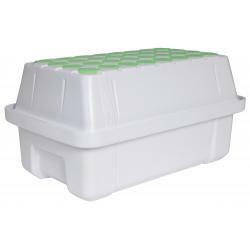 The overall height has been reduced by four inches from previous models to increase the structural integrity of the proprietary lid and reservoir. 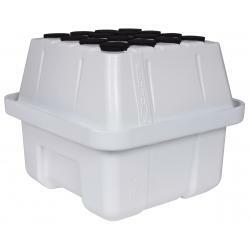 Manufactured from durable UV-protected HDPE plastic, the lid has alpha numeric symbols formed directly into the plastic, allowing simple identification of multiple strains of cuttings and comes with four-way finger slots for improved cloning collar extraction. 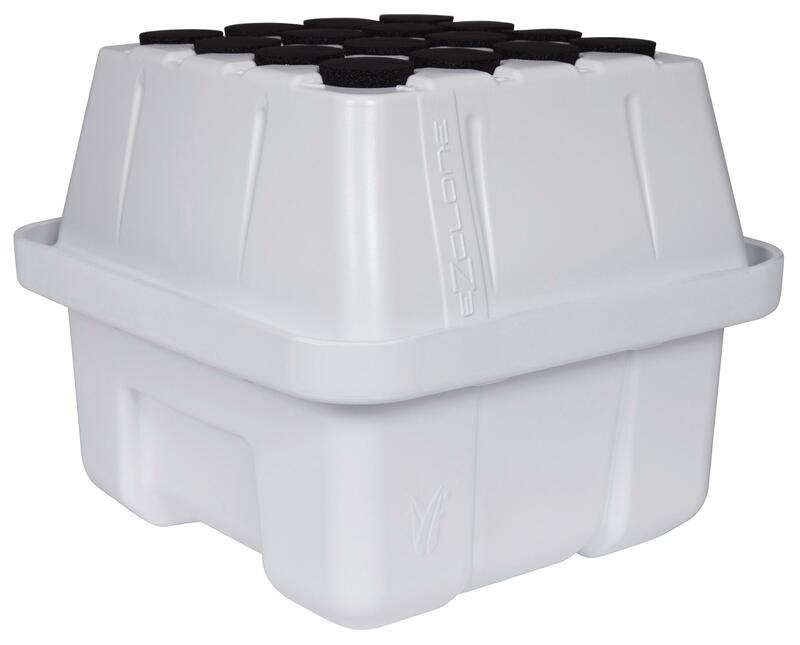 The reservoir has drainage gutters, an increased lip height with an extended flange to ensure a leak-proof design and an improved interface when opening the system to view cuttings. 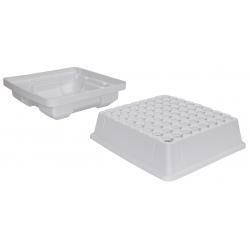 This set includes the white lid and reservoir only and does not include cloning collars nor internal components.